Academic Branch is divided into three cells, viz., Undergraduate, Postgraduate and Ph.D. for better functioning. The Undergraduate Cell deals with admission process, scholarships/other academic affairs of Base, Diploma & Degree Modules. The Postgraduate Cell deals with admission and scholarships/other related affairs of M. 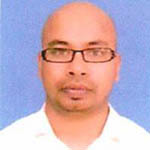 Tech., MBA, M.Sc. and the Ph.D. Cell deals with all activities like admission of Ph.D. scholars, conducting the meeting of Board of Postgraduate Studies (BPGS) and scholarships/other activities related to Ph.D. Scholars. Matters relating to Convocation, Academic Council meeting, Correspondences for academic matters with AICTE, UGC, AIU, MHRD etc. and other miscellaneous academic matters are being dealt by one Stenographer Gr.-I and one Stenographer Gr.-II. 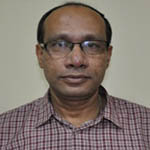 Presently the Academic Section is headed by Assistant Registrar. Conducts Admission process of Undergraduate, Postgraduate and Ph.D. students. Maintains the Course Registration of the students in every semester. Maintains Students records (Personal files). Arrange Scholarships for Undergraduate, Postgraduate and Ph.D. students. Provides different kind of Academic Certificates to the students. Conducts Disciplinary cases of students. Online receipts of academic fees (Semester/Duplicate ID Card/Certificates, etc.). Online verification of scholarships applications in National scholarship portal. Conducts the meetings of Academic Council and Board of Postgraduate Studies, etc.